/ New Cards Orientation Begins! 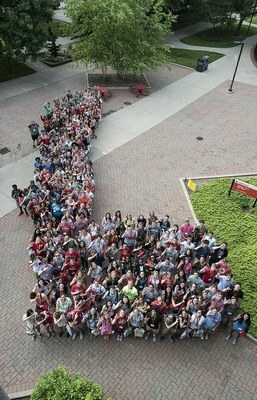 Over 600 incoming freshmen have already attended New Cards Orientation session, a two-day introduction to life as a student at UofL. Attendees have had the opportunity to meet their peers, explore campus, learn more about their majors and other academic interests, and meet with various groups and organizations for student involvement. Orientation will culminate with class registration. Transitioning into college life is exciting and overwhelming, which is why Orientation is required of all first-time freshmen. If you haven’t already registered, there are still sessions available. If you have already registered for or attended Orientation, congratulations, you’re on the road to academic success! Learn more about New Cards Orientation.